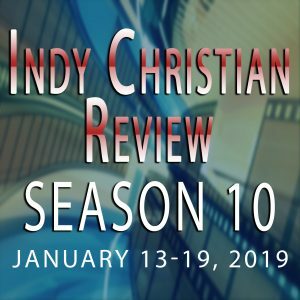 Standing Sun Productions is pleased to announce that a tenth season of our web series Indy Christian Review is now in development! Season 10 will consist of five episodes which will be released every day during the week of January 13, 2019. Since the explosive series conclusion with its 100th episode in 2015, fans of the show have asked for the return of the Storyteller and his perspective on independent Christian films. After much prayer and consideration, we’ve decided to answer the call and bring the show back for a one-time special event to celebrate its 8 year anniversary. Preproduction for Season 10 will begin in October, with production scheduled for December 2018. Supporters of Zack Lawrence’s Patreon page will get access to all five episodes on January 13th. Click here to learn more about the campaign.